CARDIFF UNI STUDENTS! Are you looking for a MODERN STUDENT PROPERTY WITH A SHORT WALK TO THE UNIVERSITY? You`re in luck! This property, round the corner from Lidl and Hoffi Coffi, is in the perfect location for the university, city centre, major transport links! The property itself is decorated to a superior standard. The OPEN-PLAN LOUNGE & KITCHEN is CONTEMPORARY and FULLY-FITTED with fridge-freezer, WASHER/DRYER COMBO, DISHWASHER and cooker. Both bedrooms contain DOUBLE BEDS and ample room as standard. The whole property also benefits from EASY-TO-CLEAN LAMINATE FLOORING THROUGHOUT. 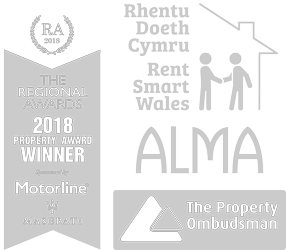 RESIDENTIAL PARKING permits are available via Cardiff Council. This is a ground floor flat located on the rear of the building overlooking the terrace area. This flat is perfect for any one who wants to be close to the city centre or any bus routes also. This is a PART MANAGED Keylet property, so enquire today! Fees apply. This MODERN, SPACIOUS and WELL LIT, this 1-bed property is perfect for STUDENTS studying at Cardiff University. The LARGE OPEN-PLAN LOUNGE and MODERN KITCHEN are superbly decorated with large windows, great worktops and modern furniture with a spacious fridge/freezer. The LARGE BEDROOM contains a DOUBLE BED with GREAT STORAGE and LARGE WINDOWS, and the whole property benefits from EASY TO CLEAN LAMINATE FLOORING. This apartment also benefits from great access to CATHAYS TRAIN STATION and the STUDENT UNION, and is only a 10 minute walk to Queen Street in the city centre or Bute Park for the nature lovers! This property is part-managed with the landlord for your peace of mind, and there`s no cost to view it, so book a viewing with us on 02920 388399 today! Fees will apply. This SUPERBLY LOCATED FOUR BEDROOM PROPERTY excels in every single way. The house comprises of four well-sized DOUBLE BEDROOMS, a LARGE LOUNGE, MODERN and WELL-LIT KITCHEN with EASY-TO-CLEAN TILED FLOORING and a FULLY-TILED BATHROOM. Both bedrooms on the top floor come with thier very own EN SUITES. 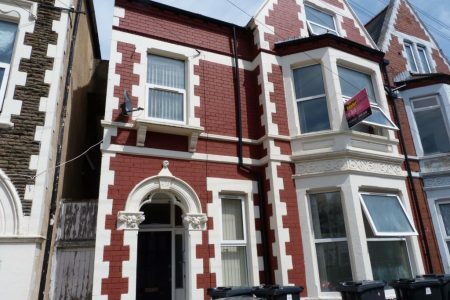 Based in the south of Roath, this property boasts EXCELLENT ACCESS TO AMENITIES on City Road, PUBLIC TRANSPORT and CARDIFF UNIVERSITY, making this an ideal student property for both Cardiff University and University of South Wales! The cherry on top of this great property is the REMOTE-CONTROLLED FLOODLIT PARKING, an excellent bonus for a property within busy Cardiff, and at no extra cost! This property is PART MANAGED between Keylet and the Landlord for your peace of mind, so give us a call today on 02920 388399! Fees apply. This property has been furnished to a very high standard. With 5 good sized, double rooms, large lounge, spacious, modern kitchen and rear garden this property really does have it all. Ideal for both students and professionals who need to be close to Heath hospital or for those who just want to be out of the hustle and bustle of Cathays. It also has fully refurbished living/dining area, 3 refurbished bathrooms, a 40″ tv fitted and new carpets. It comes with a washing machine and a dishwasher. This property is managed by the landlord. Fees apply. Keylet a proud to present this stunning 4 bedroom house in a lovely area of Adamsdown. This property comprises of 4 double bedrooms all of which come fully furnished. This property is ideal for working professionals or students looking to be close to the city centre. This property is managed by Keylet and viewings are highly recommended. Fees Apply. Spacious and Modern 8 Bedroom student house on Coburn Street in the heart of Cathays. Ideal for students needing a little something extra from their student house. With 8 Double bedrooms complete with matching furniture and laminate flooring, stylish ground floor kitchen-lounge, two bathrooms, separate w/c and an additional first floor kitchen to boot. This is an ideal student property being 5 minutes from Cardiff University and just off the ever-popular Salisbury Road. This property is Managed by Keylet. Fees apply. A DELIGHTFUL 6 BEDROOM HOUSE over three floors, this property is quintessentially perfect for students of Cardiff University. All bedrooms are equal in size and come with DOUBLE BEDS, and the rest of the property is SPACIOUS with MODERN FURNITURE and EASY-TO-CLEAN LAMINATE FLOORING throughout! On top of that, the house also benefits from being in an EXCELLENT LOCATION for amenities on Salisbury Road, as well as being CLOSE TO THE CITY CENTRE. RESIDENTIAL PARKING permits are easily obtained via Cardiff Council. This property is FULLY MANAGED BY KEYLET, so book a viewing today on 02920 388399! Fees apply. This EXCELLENT, WELL-LOCATED ONE BEDROOM property in the Ghani Baloch Complex is SPACIOUS and FULLY FURNISHED to a high standard. With an OPEN PLAN LIVING AREA, a DOUBLE BEDROOM and a fully tiled LUXURY BATHROOM with shower, you will see it is GREAT VALUE FOR MONEY. The flat is in an EXCELLENT LOCATION on City Road with many amenities and shops on your doorstep, EXCELLENT TRANSPORT LINKS to the city centre and is situated only a short distance from Cardiff University. RESIDENTIAL PARKING permits are available via Cardiff Council. Keylet FULLY MANAGE this property, so call us now on 02920 388399 to book your viewing today! Fees apply. Keylet are proud to offer this STUNNING one bedroom apartment in the Ghani Baloch Complex. The property is SPACIOUS, WELL LOCATED and FURNISHED to a GREAT STANDARD. With an OPEN PLAN LIVING AREA, a DOUBLE BEDROOM and a fully tiled LUXURY BATHROOM with a shower. Due to its EXCELLENT LOACTION on City Road there are many amenities and shops on your doorstep, EXCELLENT TRANSPORT LINKS to the City Centre and it is situated only a short distance from Cardiff University. This flat is located on the front of the building looking on to the main road on city road and close to many major bus routes so perfect for anoyone who needs to commute each day to the city centre or cathays. IDEAL for both students and professionals! This property is a must see, so book your viewing today! Call us on 02920 388399. This property is managed fully by Keylet. Fees Apply. NO AGENCY FEES!! Modern and well-finished 3 bedroom flat in a small development of flats on Albany Road in Roath. The flat has 3 double rooms, all of which have en-suite showers, 2 W/Cs, contemporary open-plan kitchen/lounge with integrated kitchen, dining table and chairs and plenty of practical space. The flat is finished with laminate flooring throughout as well as spot lights and a neutral colour scheme. Great location for students needing to be close to Cardiff University buildings and the city centre as well as shops and pubs on Albany Road and Roath Park. Managed by Keylet. Fees apply. NO AGENCY FEES!! Huge student house on the ever-popular Colum Road in the centre of Cathays. The property boasts 7 double bedrooms, large lounge, modern separate kitchen and two good sized bathrooms. The property`s size and modern finish make it great value for money as well as practical and convenient for students studying in the main University Campus. Managed by Keylet.